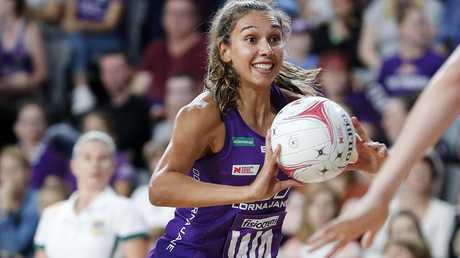 It took less than 30 seconds for Queensland Firebirds captain Gabi Simpson to set the tone for Saturday night's comprehensive 73-58 pre-season win over the GWS Giants at the Queensland State Netball Centre. 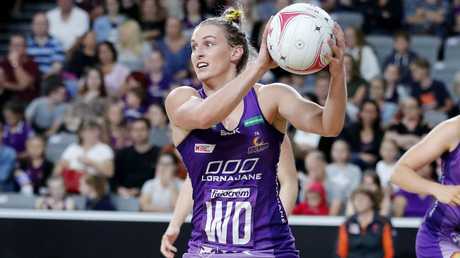 The Firebirds had lost five of their seven matches in an injury-interrupted pre-season campaign with head coach Roselee Jencke looking for a confident and consistent display against the Giants with the Suncorp Super Netball season opener just three weeks away. And that's what Jencke got in the members-only hitout at Nathan. Inside the first minute of play, wing defence Simpson used a combination of athleticism and anticipation to snare an inspirational intercept which helped her side explode out of the blocks with the first five goals of the game. The Firebirds continued to dominate the Giants in the first term to take a 19-10 buffer into quarter-time over a weakened GWS side without stars Kim Green and Caitlin Bassett. They kept their foot to the floor and extended that advantage to 38-23 at halftime with the Firebirds attack end clicking nicely with wing attack Caitlyn Nevins and centre Mahalia Cassidy providing quality service to the in-form shooting duo of Romelda Aiken and Gretel Tippett. At the other end of the court, the Firebirds defence was stingy with goal defence Tara Hinchliffe a standout with a series of spectacular intercepts and strong work close to the post. 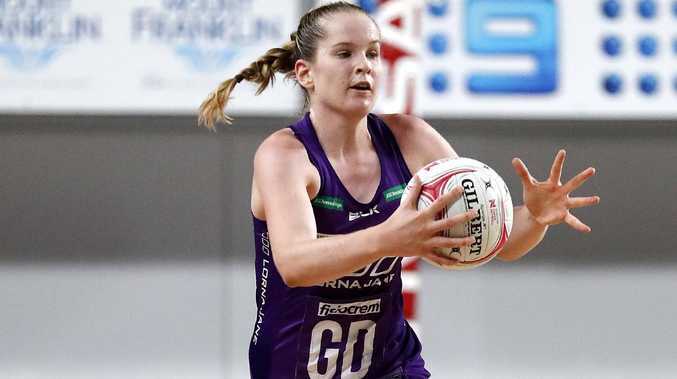 The Firebirds were without defender Kim Jenner while midcourters Jemma Mi Mi and Nevins were on restricted duties in their comebacks from injury but they continued on their merry way to lead 59-37 at the last change. Simpson said the Firebirds were determined to make a statement. "This game for us just wasn't any game. We wanted to set the tone and take another step up,'' she said.